Lions Gate Village is one of North Vancouvers newest master planned community centers. Once completed, Lions Gate Village will contain 7 high-rise towers and hundreds of low-rise townhomes. The Sentinel is the latest addition to Lions Gate Village community. 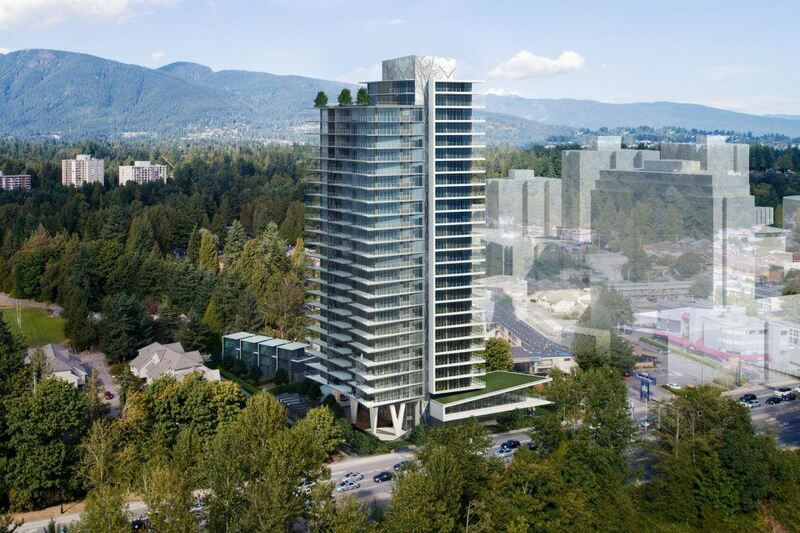 The Sentinel by Denna Homes will be a 26-storey residential development located at the most eastern point of West Vancouver. This project will offer 93 market condominiums and 4 three-level detached townhouses. The Sentinel will be architecturally distinctive with an integrated approach to public art. LED lighting along the side and top of the tower, representing the image of a tree in the forest, will change colors with the seasons and for special events.